Wondering how to make coffee without a coffee maker? Perfect because I’m going to show you 9 easy ways accomplish that goal. For those who cannot imagine starting a day without a cup of coffee, something as simple as a power outage can be downright worrisome. Yet, you do not have to have a coffee maker to brew a pot of good quality coffee. 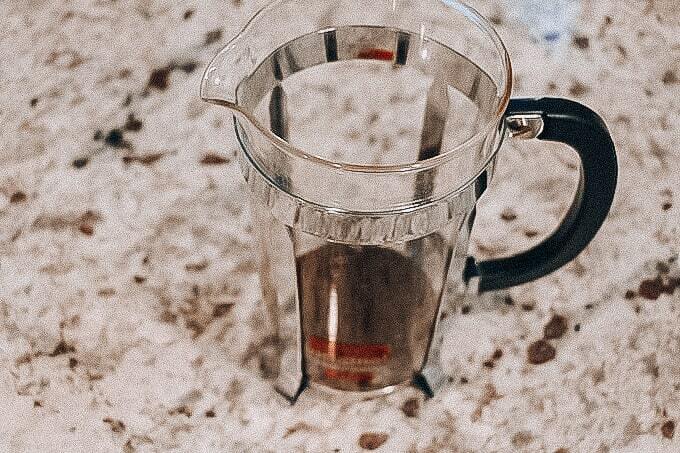 Whether you are traveling or just want to try a few new ways to brew coffee, there are several key options that could transform the way you make a cup of coffee each day. For many people, some of these methods are preferred over automatic brewers. It’s important to know that none of these methods will provide you with the deep, rich flavor you get from drinking piping hot coffee brewed with freshly ground coffee beans and using filtered water. But, they will help you to get the caffeine you need into you so you can tackle your next big project or just the day. Coffee has long been the go to choice when it comes to warming up and getting some energy going. 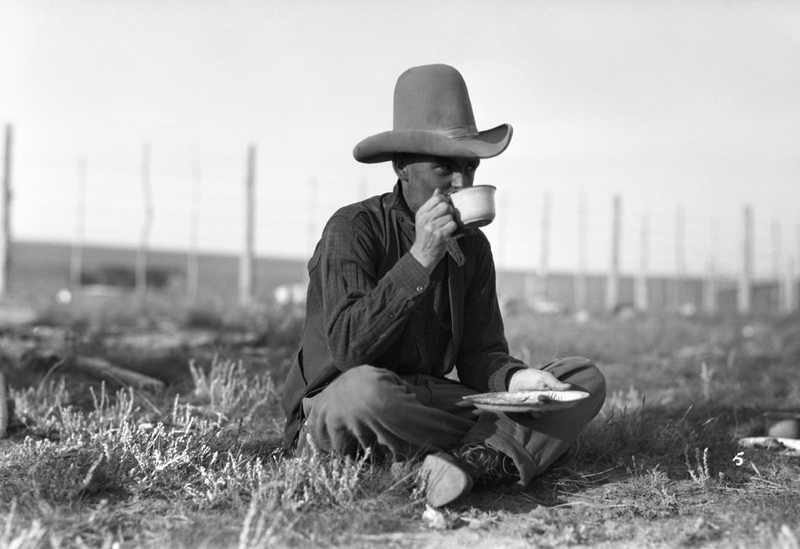 This is why it was often used by those in the Wild West, and you’ve likely seen plenty of movies depicting a group standing over an open fire waiting for the coffee to brew. But, how does this really work? This method is ideal for those who are camping or enjoying a fireside conversation with their friends and who do not want to head into the house to brew a cup of coffee. And, it can produce a nice, hot, and strong cup of coffee for you. You can make coffee like this with any type of heat source, a pot of any type, water, and ground coffee. You can choose what works for your needs. Then, follow these steps to help you brew coffee. Fill a pan with about one and a half times the coffee you plan to drink – for example, a cup and a half of water or even nearly two cups if you want it a bit weaker. Some of that water will burn off as it cooks. Heat the water over medium heat. Wait until it boils – this should only take a few minutes since there is little water present. Once it reaches a boil, add in the ground coffee. Your best bet is to play with this ratio to get the coffee to your proper level of strength. A good place to start is with two tablespoons of grounds to every six ounces of water. After you add the grounds, remove the pan from the heat, set it to the side, and put a lid on it. It’s important to wait about five to six minutes to allow the grounds to steep into the water properly. Then, take the lid off. You will notice right away that the grounds are on the bottom of the pan (hopefully the pan you used is small enough to allow for a good amount of separation). Gently pour the top of the coffee into a cup. This is not the simplest of steps because you are likely to get some grounds in the cup of coffee. However, you may be able to use a ladle or even a filter over the coffee cup to prevent this. This is a simple and straightforward method, but it works just fine for a basic cup of coffee. Again, work to refine how much coffee you use to get the strength you desire. Just because you do not have a coffee maker doesn’t mean you have to settle for a lot of grounds in your coffee. If you want a bit more of an effective way of making coffee, consider using a strainer. You can choose any form – such as one designed to be used to sift flour or those designed for use with tea. The key is to choose a strainer with very small holes to allow only the water to move through it. If you have a strainer, follow these steps to brew a cup – or a pot – of coffee. You can do this, as before, in a pan on the stove. However, a better option is to use a tea kettle. You can also do this over an open fire if you like. It is possible to heat water for coffee in a microwave, but the process is dangerous since microwaves tend to be harder to regulate. You can use the same measurements recommended earlier. 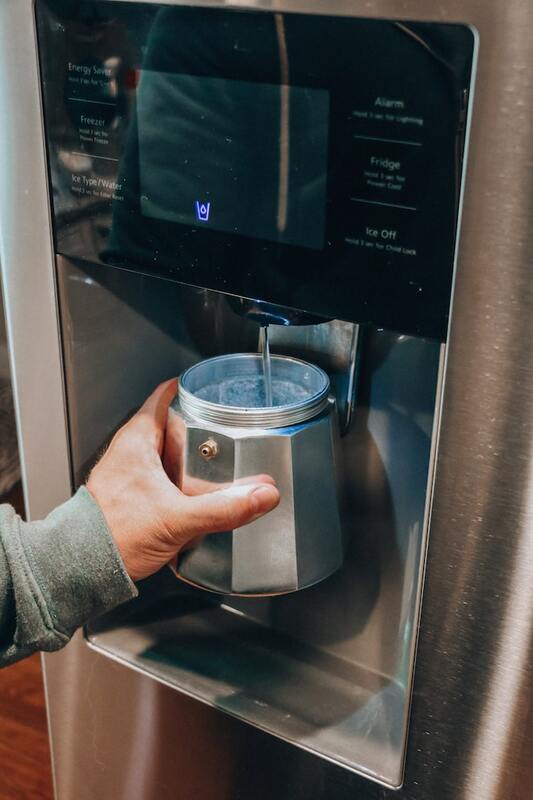 The goal here is to boil enough water to fill your cup and have some left over due to what you will lose during the heating process. Step #3: Use freshly ground coffee beans! Your goal is to brew coffee you like, though, so again adjust the amount of grounds you use based on the strength of coffee you desire. Generally, you will need about two tablespoons of coffee grounds per one cup of water. Add these coffee grounds into a measuring cup – be sure it is durable enough to handle the very hot water involved. A heat-proof measuring cup is best. Be sure it has a handle and a spout on it. Do this slowly. Splashes here are painful. The action of pouring the water into the grounds helps to stir them up, allowing the grounds to infuse with the water quickly. During this time, stir it to encourage the coffee grounds to mix into the water. Then, allow it to sit for at least two to three minutes. This allows the grounds to settle at the bottom of the measuring cup. Then, pour the coffee into the strainer. Do so slowly to avoid splashes. The strainer should catch all of the coffee grounds, making it ready to drink. This is one of the more inventive ways to make coffee. However, it is nothing new. In fact, this is one of the methods many cultures in Europe used during the 17th and 18th century. In most cases, though, it is not used today as readily because, well, it takes a bit of time to pull together everything you need. You will need a coffee filter as well as some string for this process. The short description is you will be creating a coffee bag, much like a tea bag, to use to brew your coffee. There is no real brewing here, but rather steeping. This method creates a slightly weaker cup of coffee then you may get from other methods listed here this far. To make coffee using a coffee bag, follow these steps. Start with your coffee filter. The goal of this filter is to create a pouch in your hand. You will need to fold up the sides to allow a spoonful or two of coffee grounds to rest in the middle. First, start with measuring the amount of coffee you need. Again, consider one or two tablespoons of coffee grounds for each cup of coffee you make. 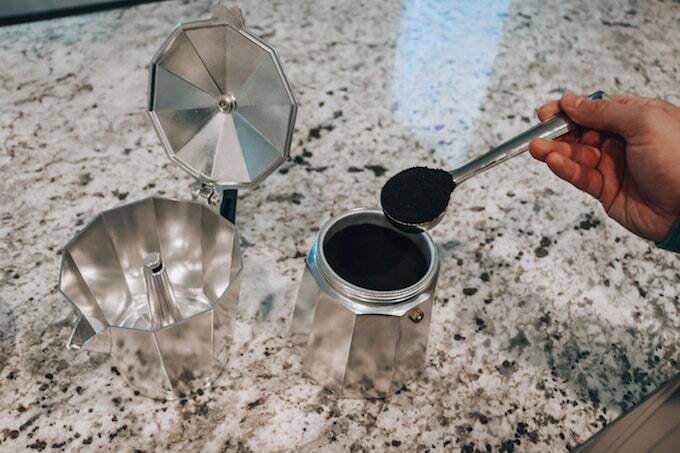 In this method, you are going to get just one cup out of the filter. 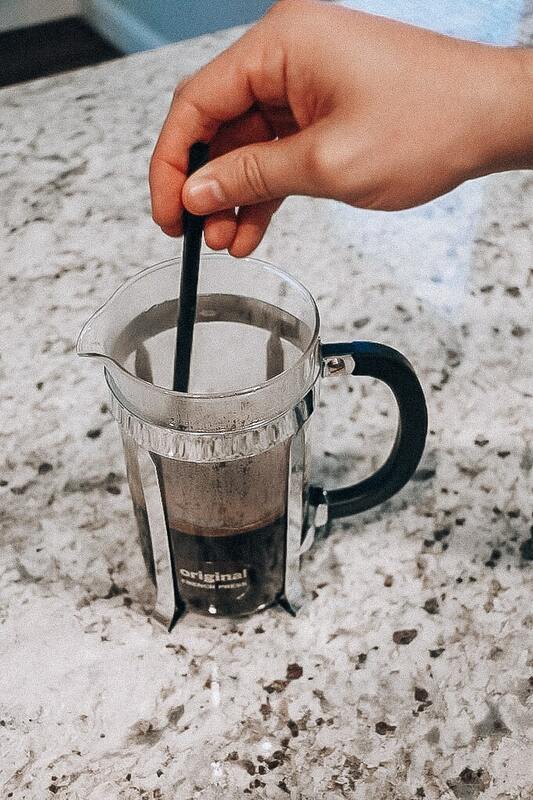 Hold the coffee filter flat in one hand, add the grounds to the center of it, and then pull up the edges of the filter to create a makeshift pouch. You will then need to tie the string around the edges of the coffee filter, holding the coffee within it. It is important to do this properly. Be sure one side of the string is longer to allow you to remove it from the cup. Also, tie it tightly around the coffee grounds to ensure the coffee grounds do not seep out of it. Boil water. Use a tea kettle or a saucepan. Boil enough for your coffee cup. It is important to get the water to a rolling boil before moving forward. Place the coffee bag into the cup you plan to drink out of. Be sure it is heat safe as the water you pour into it will be boiling hot. Slowly pour the water into the cup. Fill it. Allow the water to seep into the coffee filter. You will need to allow it to steep for at least five minutes. This gives the grounds enough time to penetrate into the water and flavor it. The longer you allow the grounds to sit in the coffee cup, the stronger the coffee will be. You can – and should – move the bag around using the string to help encourage this process. Be sure to wait a few minutes before drinking the coffee as it will be very hot. Discard the coffee bag. You can only use it one time to get the best results. With this method, you will find it takes a bit of practice to get the grounds just right. However, being careful not to damage the filter when tying it closed will help minimize this risk. Technically, a Fresh press is not a coffee maker. And, it does take a bit more time and patience to get the quality of coffee you want. However, many people prefer this method over any other method of brewing coffee. The coffee is rich and bold. Depending on the style you use, you may even find this is the ideal way to relax yourself. 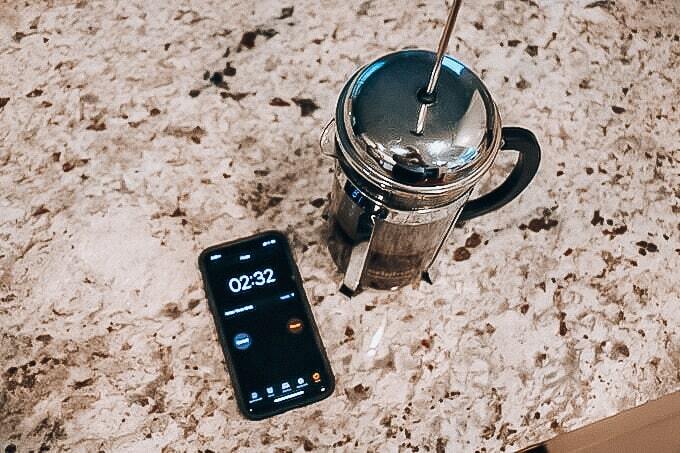 Put your coffee on to cook and sit down to relax while you wait for it. But, a Fresh press can be intimidating for those who have never used it before. Here is how you can use it. First, you need to purchase a French press. You can find them available anywhere coffee makers are sold. And, you can find them at antique stores, too. The older the style, the more authentic your cup of coffee will be. Once you have your French press, you need to boil hot water. As noted previously, you can do this in a variety of ways. Your goal is to boil water in an easy to pour method. The French press opening is larger, but it is dangerous to pour hot water without a handle and a spout. That is why using a tea kettle is better than using a pan or microwaving the water. 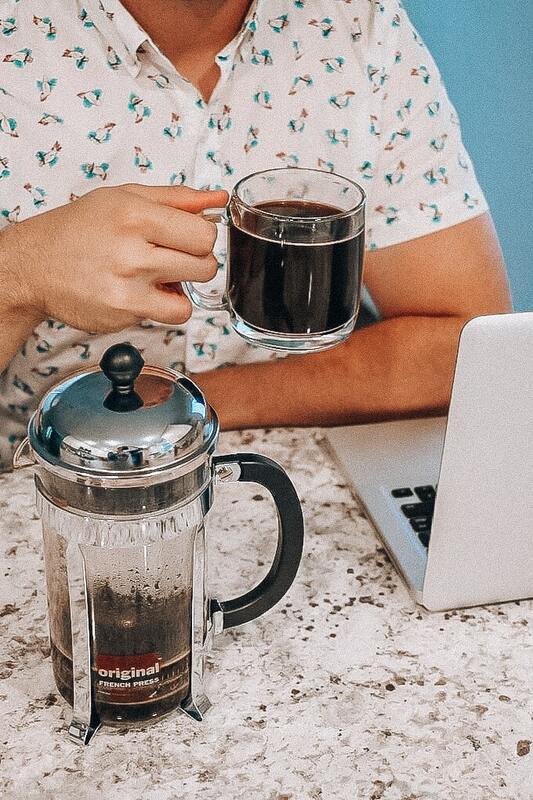 Unlike the other methods here this far, it is possible to brew a whole pot of coffee at one time – as much as your French press can hold. Boil as much as you need to create the coffee you want to serve. 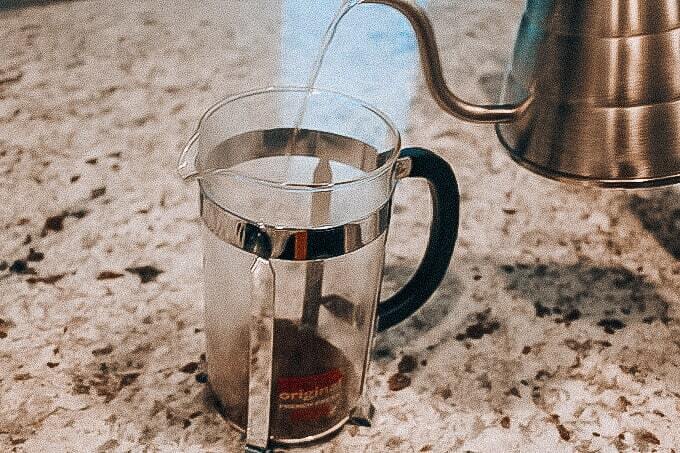 As the water boils over a medium heat, turn your attention to the French press. You will need to add coffee grounds to the French press. In this case, aim for using about two tablespoons for every eight ounces of water you add to the press. This is best with freshly ground coffee – but you can adjust the amount and the type of coffee to match your specific tastes and inserts. Add the grounds to the base of the French press. Then, pour the boiling water over the grounds. Again, this should be at the base of the French press. Most styles will have a secondary component that fits over the top of the base. However, the coffee grounds and the water go into the base. Stir the grounds and the coffee together initially to ensure all are coated in the water. You may notice an instant blooming of the coffee – a foam-like material developing at the top. This is normal and desired. Then, as the coffee and water begin to mix your next step is to attach the top or the press component. In most cases, this piece just fits on top of the base. It will have a handle or a lever to push downward on. Fit the piece over the coffee grounds – keep it a few inches above the actual coffee. Allow the coffee to steep like this for a few minutes. Generally, for a small French press, it only takes about three to five minutes. If it is larger, wait a full five minutes or a bit longer. Once you wait the proper length of time, you will then plunge the filter downward. The plunger does all of the work for you. It allows for the grounds to be pushed to the bottom of the base. This allows the coffee itself to rise to the top. You are then able to enjoy coffee without having to worry about the grounds mixing in with it. Once pressed, you can then pour the coffee into a cup to enjoy. 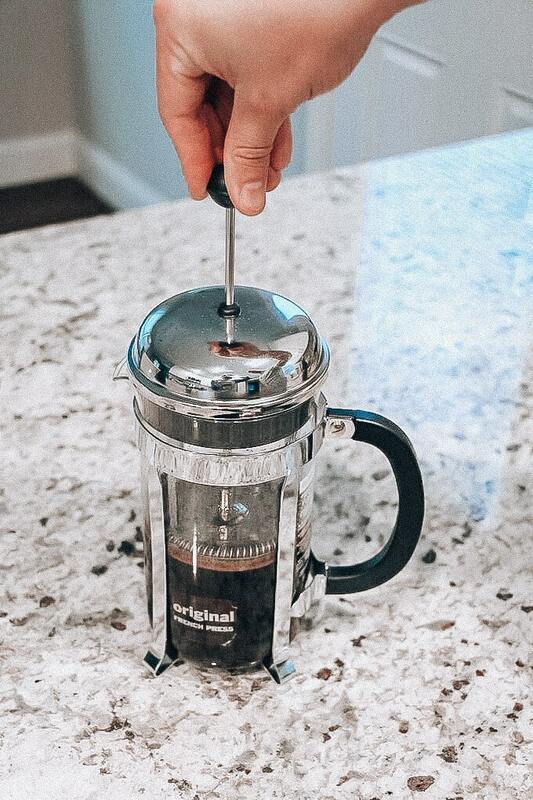 Disassemble and clean the French press well to ensure you get the best results each time you use it. Let’s say you are really looking for a way to get rid of formalities and you have very little to help you brew a cup of coffee. It may be possible to use a cloth method. This method is very basic and can be ideal for those who have coffee, the means to heat water, and not much else. You will need some type of binder, such as clothespins, paper clips, or string. You also need a piece of clean cloth. You can use anything, but cotton and linen are the best because they work well as a filter. To follow this method, you will need a larger cup. Here is what to do. Boil water. You will need to boil just enough to fill the mug or other heat-resistant cup you plan to use. It is important to get the water to a rolling boil before you move further into this process. While you wait for the water to boil, secure the linen or cloth. You will be placing it over the edges of the coffee mug. It needs to be big enough to provide plenty of coverage here. Try to fold down the sides against the outside edges of the cup. Use the clips or clothespins to then secure the cloth to the cup. Be sure they are tightly in place. You do want to create a bit of a dip in the middle. This will allow the coffee grounds to sit in the water. The dip should, ideally, go at least half way down the inside of the cup. Place enough coffee grounds on the cloth for a cup of coffee. This is, as normal, two tablespoons for every eight ounces of water. Adjust it for taste. The grounds need to remain in the center of the cloth, depressed into the cup. This is important because when you add water, they could easily flow over the outside edges. Next, pour the boiling water over the grounds. At first, pour just a small amount to wet all of the grounds. This helps to keep them from flowing over the edge. After waiting about 30 seconds, you can then pour the remaining water into the cup over the grounds. Allow the cup and coffee grounds to steep for at least five minutes. You can also remove the clips or clothespins and allow the grounds to dip further into the cup if you want a richer flavor. Once you allow them to steep for a good five minutes, you can remove the cloth and drink your coffee. As long as you can boil water, you can brew coffee in this manner. However, it takes some practice to avoid damaging your skin with hot, steaming coffee. This may be something some people just do not want to do – and that is okay. 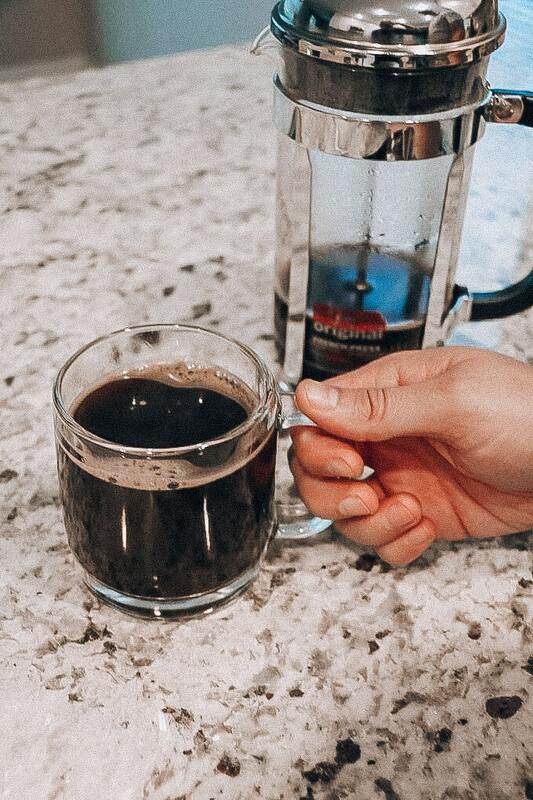 However, for those who need to get coffee into their bodies in the morning (or even in the middle of the night) and without the use of a coffee maker, using instant coffee is an option. Instant coffee is a different type of ground coffee. It has a very dry texture when compared to other types of coffee grounds. And, it is able to dissolve fully into whatever it is put into. Instant coffee is an excellent addition to many chocolate-focused baked goods because it can help to create a rich flavor without a coffee taste. But, for brewing coffee, it is also beneficial for those who need a quick fix. The best route to take is to not plan to enjoy the same type of flavor or strength as you would with true freshly ground coffee. If you want to use instant coffee, consider these steps. First, boil water. You will need to enough to fill your cup. And, the hotter you get the water, the more likely it is to dissolve the grounds quickly and evenly. Place the desired amount of coffee grounds into the cup of your choice. Be sure it is a heat resistant cup. Instant coffee brands do differ somewhat in terms of how much product you need to use to get the desired result. In most cases, it will be between one and two tablespoons for every six ounces of water. Simply place the grounds into the cup and then pour the hot water over the top. This is as easy as it gets. You will need to stir the coffee around for a few minutes. If you allow it to steep for a few extra minutes, the flavor is more robust and even. 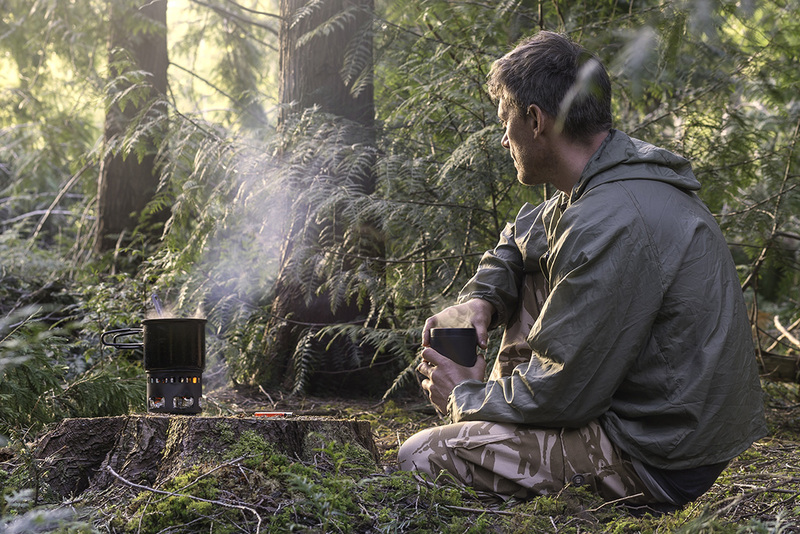 If you plan to go hiking or you know you are going to be without the ability to make coffee from a maker for very long, instant coffee is a good alternative to going without. It also only takes the grounds, a mug, and a way to heat water to help you to enjoy a quality cup of coffee. And, be sure to compare several brands. Some products are simply better than others. The French press method of creating coffee is one many people prefer even those who have a coffee maker. But, if you do not have the press and want to consider this method, you can do so. It takes a bit of patience to learn, but many people will find this method of brewing coffee is actually rather easy to perfect over a few uses and it creates a smooth, enjoyable cup of coffee. For this method to work, you will need to gather some supplies. Aside from the grounds and the hot water, you also need a bowl – one that is deep and has tall sides works the best. You also need a tablespoon or something with a flat bottom to use. Then, follow these steps. Start with boiling hot water. As noted in every other example, you need to get it to a rolling level of heat to ensure it can mix with the coffee grounds properly. You will need to boil enough coffee to fill a cup, but a bit more is beneficial. Then, place your coffee grounds into the bowl you have. Any coffee grounds will do, but most people will find that using a more coarsely ground coffee is best here because it is not as thin – and as easily able to penetrate the press as a result. You will need to place about a tablespoon of coffee grounds per six ounces of water, with some variation for taste and preference. Then, once your water is heated, pour only a small amount into the bowl over the grounds. This is important. Pour slowly and allow the grounds to completely saturate with the water before continuing. This helps them to remain compact rather than loose. Finish filling the bowl with the amount of water you wish to pour into your cup. Allow the coffee to steep. This should take about four to five minutes. Allow this to happen without stirring the grounds if possible. Again, you do not want to upset them more than you need to. Once it reaches your desired level of strength, you can then begin your makeshift press. To do this, use the tablespoon or other flat-bottomed tool to press down the coffee grounds into the bottom of the bowl. Do this gently, you want them to form a cake-like consistency at the base of the bowl. This method allows all of the grounds to remain at the bottom and the coffee remains separated from it at the top. Once done, pour your coffee slowly and evenly into your cup of choice. Do this slowly so that the grounds at the bottom of the bowl do not move and do not enter into the cup. This method takes practice because getting the grounds to the proper consistency is important. However, it works in the very same manner as a French press does and it does not require the use of the press itself. Along with using instant coffee, most people will say this is the second most undesirable method for making coffee. However, if you have a microwave, and you have the right tools, this process is pretty straightforward and effective enough. As noted previously, though, microwaves are not as reliable in terms of consistency. This makes it hard to ensure you are going to get a good cup of coffee every time. Here is what you need to do to brew coffee in this manner. Your first step is to get the water hot. Fill a microwave safe coffee mug with water. Be very sure this cup has a handle and is safe to use in a microwave. You do not want to be burned later. Microwave for at least two minutes. This should create a near boiling level of hot water. Next, add in the coffee grounds. You will want to use one tablespoon for every six ounces of water. In this smaller container, the coffee will steep faster. You can also stir them around to allow them to steep properly. Allow the mug to sit for a few minutes. In about four minutes, you will notice – if you have not moved the cup – that the grounds are located around the bottom of the mug. This is what you want to happen. You can drink the coffee just like this – with the grounds at the very bottom. You can also strain them into another cup if you like. It is possible that you will get some grounds into your mouth, though. This method makes a fast cup of coffee that is strong and hot, but it can also give you a bit of a bite from the grounds themselves. 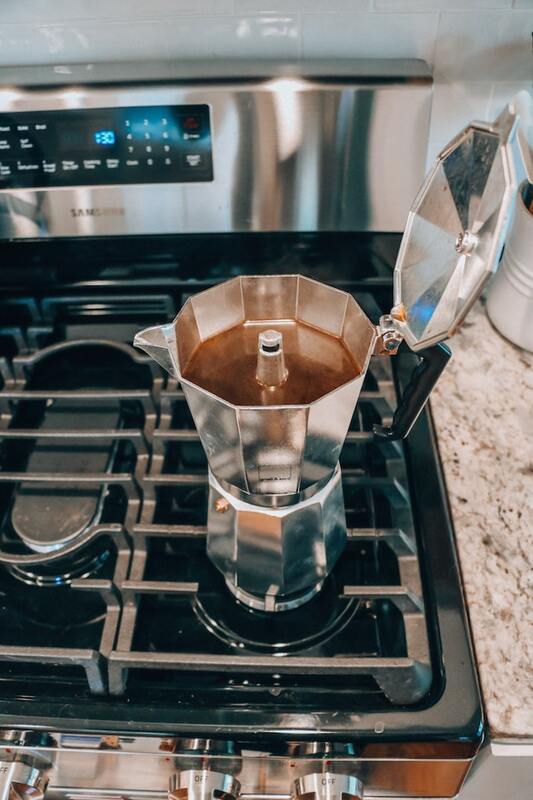 Though many homes do not have them any longer, a percolator (sometimes called a Moka pot) is a fantastic stove top method for brewing coffee. It allows you to make a drip coffee that can be very strong. Here’s how to manage this process. Fill the bottom chamber with water. In this method, you can brew a full pot of coffee to drink. The water goes into the bottom of the percolator. Then, add coarsely ground coffee to the top chamber. Follow the same measurements of two tablespoons for every eight ounces of water. Finish assembling the device. Set it on the stove to cook over a low heat. Allow it to heat just to before boiling. Then, allow the device to go to work for you. It will percolate in about ten minutes. The pot will begin to pop when it is ready. 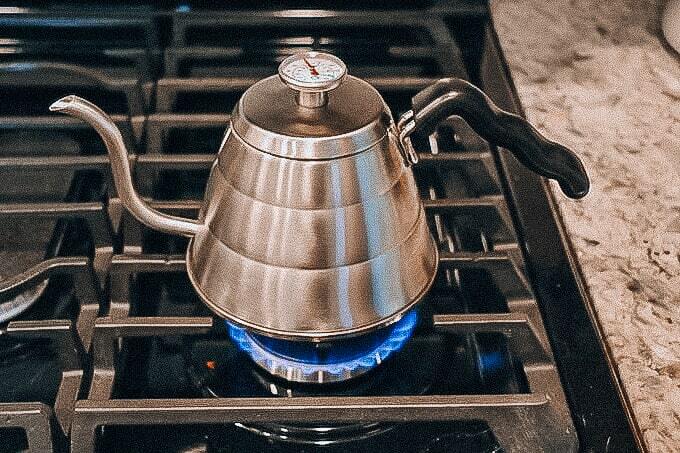 This is a fantastic and old school method for brewing coffee, but it creates a fantastic cup for those who like a stronger product. In each of these methods, you can tailor your use to meet your needs. 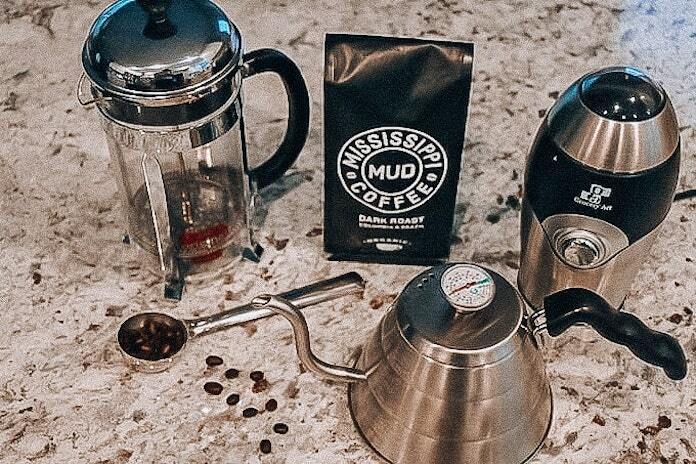 Get creative with various types of tools to help you create the ideal cup of coffee no matter where you are, what type of coffee you need, and no matter what tools you have on hand. 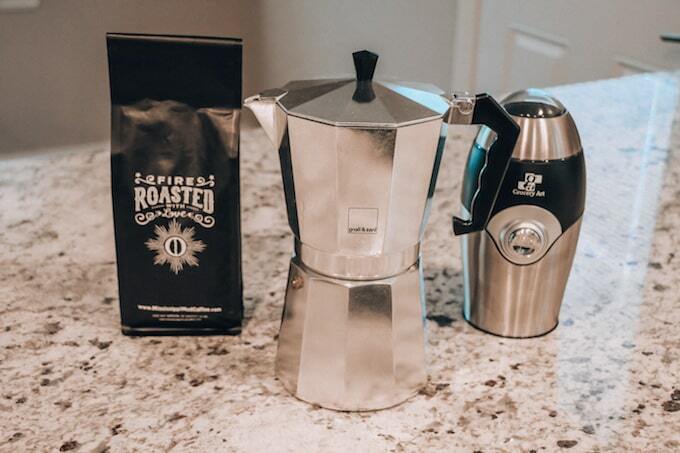 Want to learn how to use a Moka pot? Keep reading. Many people have not heard of this tool until they visit Italy or another country in which it is used. Yet, once you taste the flavor and the overall experience of coffee from this type of pot, you will want to make it yourself. With the age of the Internet, it is now possible for individuals to enjoy this type of product around the world. The key is learning how to actually use a Moka pot. Perfecting the process can help you to enjoy a fantastic cup of coffee any time you want. Generally, a Moka pot is a small coffee pot. It will typically have eight sides to it. Some of the best are Italian made. They are typically found in older kitchens, especially in Europe. 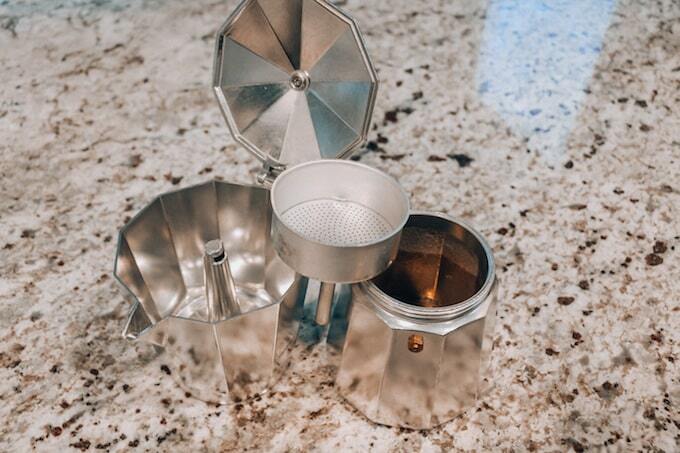 And, while a traditional piece is an option, most people will purchase a new Moka pot to use at home. In short, this is the ideal pot to make your espresso in. When you do, you will enjoy a full-bodied, dense espresso. There is no use for expensive or fancy equipment. This traditional form of espresso making creates a truly authentic experience for anyone enjoying it. A Moka pot is a basic tool. It does not require electricity to run. It does not require complexities associated with coffee shop systems. Rather, it can be very easy to use once you learn the proper method. Where the Moka pot is made. Buying those made in Italy tends to provide you with an authentic system. Determine the size right for you. Most of the time, you will find they make a single cup of espresso. Many can brew more than this, though. Both induction stovetop and electric stovetop options exist. Choose the one right for your stove as a primary starting point. Both stainless steel and aluminum are options. Aluminum is more common, less expensive, and more traditional. However, stainless steel is more durable. The problem with stainless steel is it can conduct heat much faster. This means it can lead to damage if not properly maintained. Compare a few brands. Be sure to look at the overall construction quality. Quality matters here. Now that you have your Moka pot, you will want to use it. It is important to read through any manufacturer information (especially if you buy a higher end model). Then, gather your coffee. Keep in mind the quality of the ingredients you use is just as important. Aim for those coffee beans you already know and love. Or, select a traditional Italian roast. Again, quality matters. Most of the time, your Moka pot will require you to add about 20 grams of coffee. Of course, you should have freshly ground coffee to add to this. A fine quality matters here. You want to have the smoothness of the espresso you desire. You do not need (or want) to use an over-the-top espresso grind here unless that is what you desire. Next, boil water on the stovetop. Once it reaches a boiling point, you will then need to pour it into the Moka pot. Aim to fill the bottom half of the pot – up to the area where it narrows towards a neck. You want to ensure this water is hot – right after the boil starts – to get the best overall results. Next, most Moka pots will have a small filter basket. Usually, it is a metal basket. You will need to add your coffee grounds to this area. It’s also important to understand coffee to water ratios here. A scoop or two in it is all that is necessary. Do not pat down the coffee. You want it to be loose. Instead, shake the edges of the basket. This allows the coffee to settle down evenly. Once filled, place the basket on top of the Moka pot base. Most will screw into place. The spout or top portion of the Moka pot is then put in place. Most versions simply will screw right onto the filter basket. To do this, hold the base with one hand. Turn the top portion only to tighten it. Remember, the water is hot and can burn you easily. You do want to be sure it is tightly closed. It is now time to actually heat the coffee. To do this, place the Moka pot directly on a stove burner. As noted, the best options are to use these on an electric stove, but others do well with a gas stove. Turn the fire up to a medium heat. You do not want to rush this with high heat. It will burn the pot and the coffee. Once on the burner, the Moka pot goes to work. The water at the base reaches a boiling point. When this happens, it creates steam. When this happens, steam will push the water through the coffee. Over a few minutes, the upper chamber fills with rich, dark coffee. You can watch this to learn a bit more about when it is ready by taking off the lid. However, it can be dangerous. Keep in mind these tips. If you notice there is bubbling, but it is a slow, rolling bubble, you need more heat. Turn it up slightly. On the other hand, if you see rapid bubbles and explosions of liquid, your heat is too high. You will need to leave it here for a few minutes. You will know it is done when the Moka pot begins to whistle or a small hiss sound escapes. This means the water is now coffee. First, it can take practice to get just right. And, you may like your coffee a bit stronger than others. The key here is to practice with the amount of coffee you use, the heat you use, as well as the length of time it cooks. Variations can also occur as a result of the actual size and type of pot you purchase. 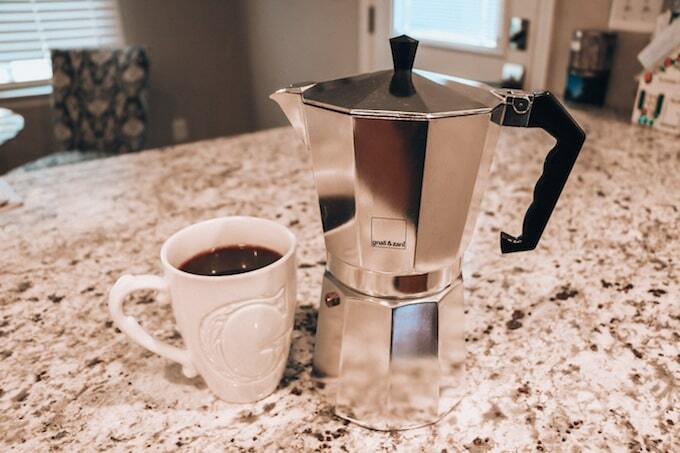 Yet, with a bit of practice, you will simply love the results you get from your Moka pot. 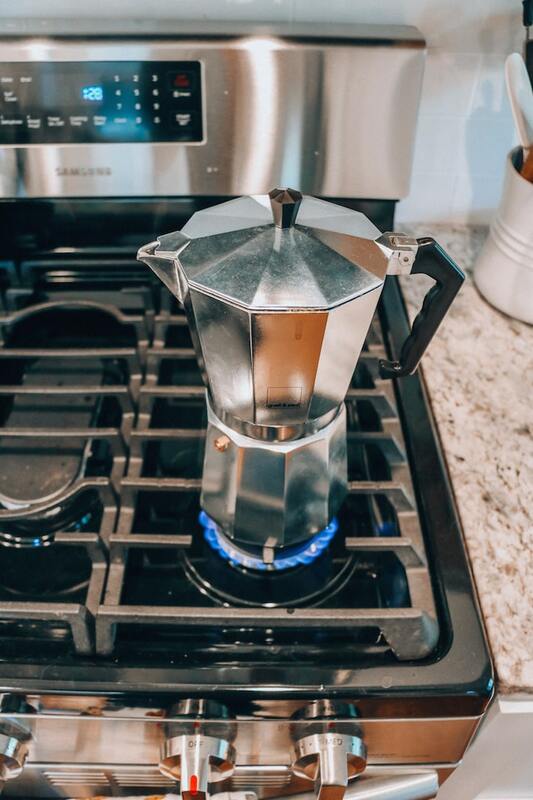 I hoped this helped you understand how to use a Moka Pot and thanks for reading!